In 2017, the Memphis Redbirds (Class AAA; Pacific Coast League) and Williamsport Crosscutters (Short Season A; NY-Penn League) stood apart from many teams. Their successes as individual clubs were noteworthy, but also strong reflections of their parent company—Trinity Sports Holdings. For overseeing two accomplished teams in strikingly different markets, Trinity Sports Holdings is the Ballpark Digest Organization of the Year for 2017. 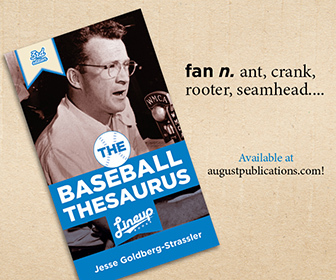 Freund is also a minority owner of the New York Yankees. In addition, he is—along with the Goldklang Group—a co-owner of the Charleston RiverDogs (Low A; Sally League), a franchise that had a memorable year by opening the Riley Park Club and setting a new attendance record. He purchased majority ownership in the Redbirds from the St. Louis Cardinals in 2016. Over the past two years, the Redbirds have seen their average attendance increase by 26 percent. The club has also unveiled some unique initiatives before the 2017 season, including the return of barbecue from the legendary Rendezvous and a new team store. Perhaps the most notable change, however, was their logo. Prior to the season, the Redbirds unveiled a branding concept that maintained ties to the Cardinals, while adding a distinct Memphis flavor through several elements, including a primary logo that replicated a neon street sign. Freund credited the St. Louis Cardinals for working to improve AutoZone Park, including the slate of upgrades that earned our Best Ballpark Renovation Award in 2015. Building on that success, Freund said that he wanted to work with the Redbirds to continue improving the fan experience. “Since the time that Craig and I really got to work, some of the initiatives we have taken are fan driven,” he said. Unger credited the renovations for making AutoZone Park a destination for numerous types of events in downtown Memphis, adding that they help the ballpark be “the center point for other things, and not just baseball games.” In addition, he said the club has worked to continue improving the value of their tickets while ensuring a positive customer service experience in a city that is full of entertainment options. The Redbirds’ success was a notable accomplishment for Trinity. However, it was the Williamsport Crosscutters and BB&T Ballpark at Historic Bowman Field that landed on the national stage. On August 20, the ballpark played host to the first annual Little League Classic—a regular-season matchup featuring the Pittsburgh Pirates and St. Louis Cardinals that aired nationally on ESPN. Major League Baseball has already confirmed that the Little League Classic will return in 2018, and the Crosscutters believe the game delivered benefits for both the community and the franchise. With the introduction of a major event and sweeping ballpark upgrades, the Crosscutters sought to maintain their strong community outreach efforts. The team has built a strong track record of involvement in the Williamsport community, and many of the team’s successful initiatives—including the annual Dominican Plate Dinner—continue to not only succeed, but grow. The growth in both Williamsport and Memphis could be indicative of the future for Trinity Sports Holdings, which changed its name from Trinity Baseball Holdings last year. There appears to be more ahead for the organization—its continued growth trajectory could include professional soccer—and for both the Redbirds and Crosscutters. There were several organizations in the mix for this award, and we are recognizing two with honorable mentions. The Elmore Sports Group took a major step forward in 2017, as it announced that it will shift three franchises for the 2019 season. That move will see the San Antonio Missions (Class AA; Texas League) shift to Amarillo, while the Colorado Springs Sky Sox (Class AAA; Pacific Coast League) relocate to San Antonio, and the Helena Brewers (Rookie; Pioneer League) take the place of the Sky Sox in Colorado Springs. Elmore Sports Group also wrapped up some key agreements in Amarillo to help put a new ballpark there on track for the 2019 season. Hardball Capital‘s track record of success continued this year, as the Fort Wayne TinCaps (Low A; Midwest League) continued to be a major attraction at downtown Fort Wayne’s Parkview Field and the Columbia Fireflies (Low A; Sally League) built on their strong first season with a successful sophomore year at Spirit Communications Park. In addition, reports surfaced about the potential for a new Chattanooga Lookouts (Class AA; Southern League) ballpark, while Hardball CEO Jason Freier continued to consult the city of Fayetteville in its planning for a new downtown facility that will open in 2019. Image of AutoZone Park (top) courtesy Memphis Redbirds. 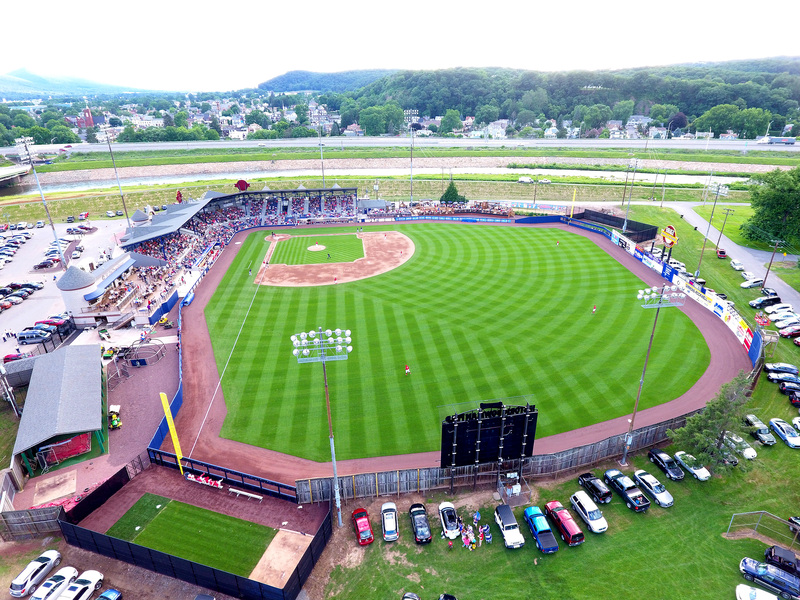 Image of BB&T Ballpark courtesy Williamsport Crosscutters.